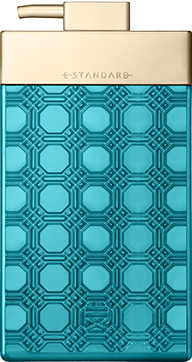 In addition to normal scalp cleaning, this scalp shampoo includes fourteen select beauty ingredients specializing in moisture and aging care including fullerene, stem cells, collagen, and lipidure. We proudly present this shampoo for those who have not been satisfied with regular scalp care products, and assure beautiful hair ten years into the future. 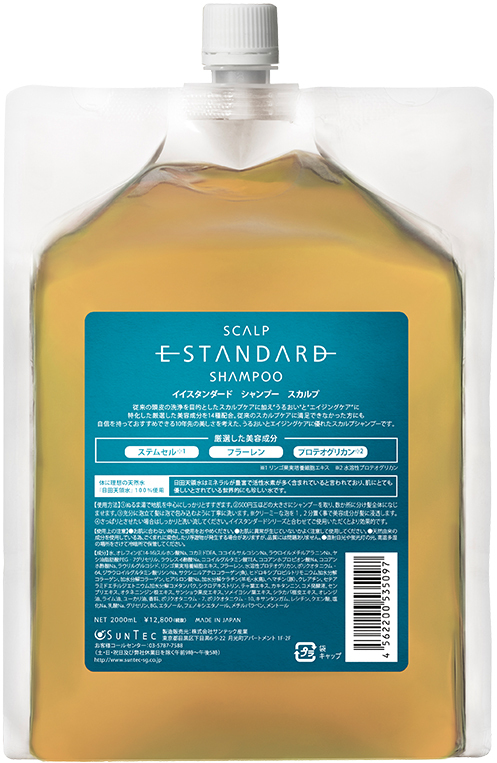 E STANDARD SCALP SERIES uses 100% Hita Tenryosui water for its main ingredient.Stem cells, which are known at beauty clinics to regenerate the skin, are added to the water, as well as fullerene, which has won a Nobel Prize adding validity. Aging care ingredients that can be applied everyday for effective results have been carefully selected and blended. 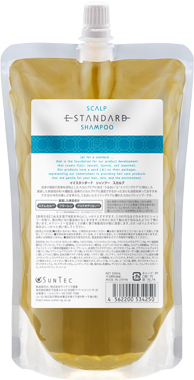 The E STANDARD SCALP SERIES includes a rich blend of lipidure, which has twice the moisture-retaining ability of hyaluronic acid, as well as proteoglycan, which accelerates the generation of collagen, in order to regain moisture. To communicate the intricate production process of MADE IN JAPAN products, extra attention has been paid to the “fragrance” of the products. Blending essential oils that aid in relaxation with an original fragrance that has been devised to include a “refrain note” has created a fragrance like never before. 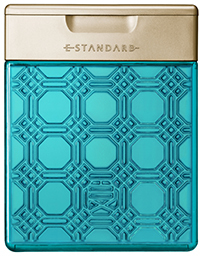 A collaboration with Japanese perfumer and Fragrance Foundation France member who owns her original brand brings to life a fragrance with a top note, middle note, and last note that changes gradually, as time elapses.